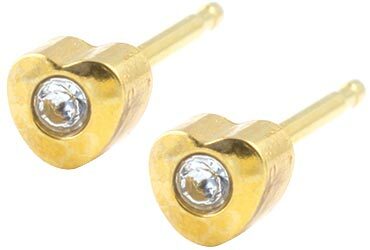 Studex Tiny Tips 4mm heart hypoallergenic 24 carat gold plated surgical steel stud earrings with crystals. These earrings come with matching butterfly backs. 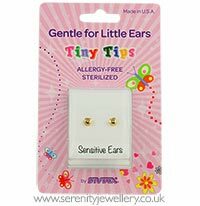 Although the Studex Tiny Tips packaging is designed to appeal to children (please see photos) the earrings themselves are the same size as the Studex Sensitive range making them great for both children and adults who like smaller designs. 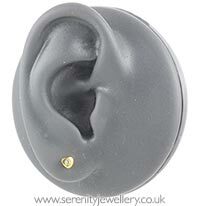 Studex Tiny Tips earrings come in sealed sterilsed packaging.